Just over three years ago I was offered a solo show at the beautiful New Art Gallery Walsall. 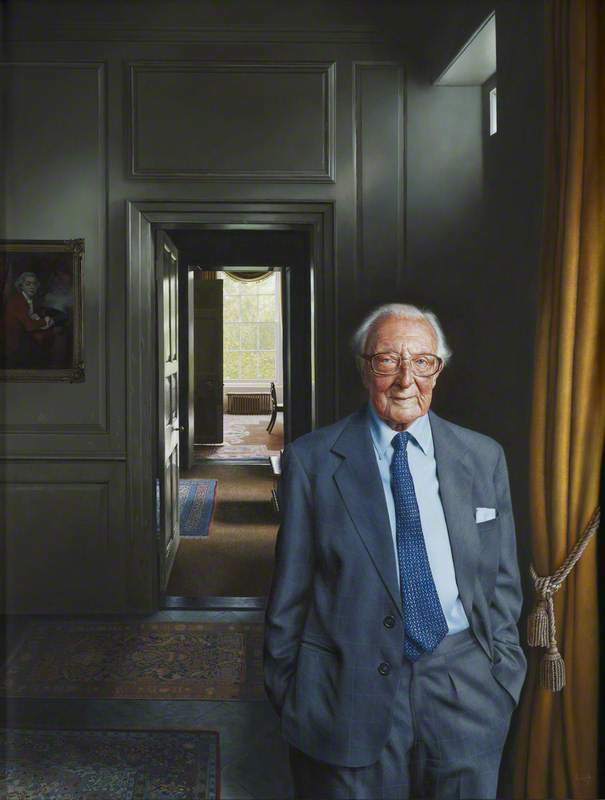 As I’ve taken up to 13 months to paint some portraits I did initially wonder how I was going to fill this huge space, but as the months and years went on – and lots of 4.30am starts in the studio – I was there. It is a huge opportunity for a figurative artist to show in a contemporary space and a very profound honour for me, especially in my hometown. The show focuses around the theme of portraiture using painting, drawing and photography, the three corners of my practice. I really felt that I wanted to 'go up a gear' in terms of scale and content, so it’s an eclectic exhibition bringing together formal commissioned portraits, personal projects with specifically chosen sitters, and more experimental work in which I tried to challenge myself technically and conceptually – exploring themes such as life cycles, the passing of time and the persistence of memory. 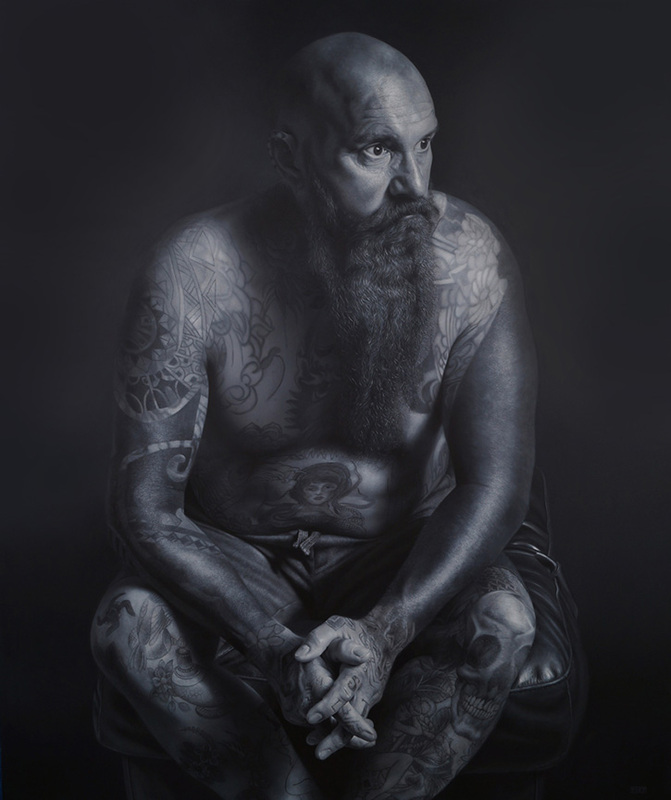 I started with a six-foot painting called Max who was a scaffolder and tattooist from Birmingham. He had a big physical presence and the look of someone outside of the mainstream which I gravitate towards. I also wanted it to be a calm and reflective painting. I like working in black and white because I think it brings everything down to the purest essentials. Madonna and Child is a portrait of Kasi who I met through a friend of a friend. She’s a tattooist from Birmingham. In the painting she is in the early stages of pregnancy – hence the title – and in the pose, she is almost protecting her womb with her hands. It is a traditional theme in art history and it is also inspired by the great Ingres painting Madame Moitessier. One of the most personal and intense paintings in the show is called 22 Years Later. Twenty-two years ago I made a diptych painting called The Obscurity and Revelation of Andrew. 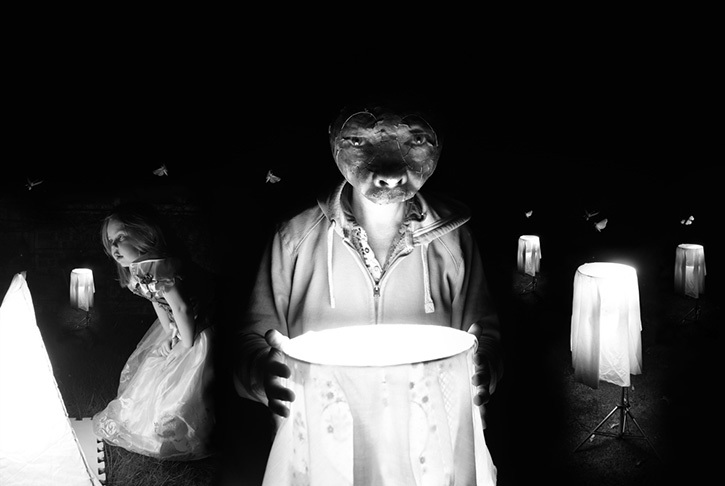 It was a self portrait exploring ideas of temporary changes in identity in a domestic setting. In the first image, everything is obscured as identity is masked and in the second everything is revealed. 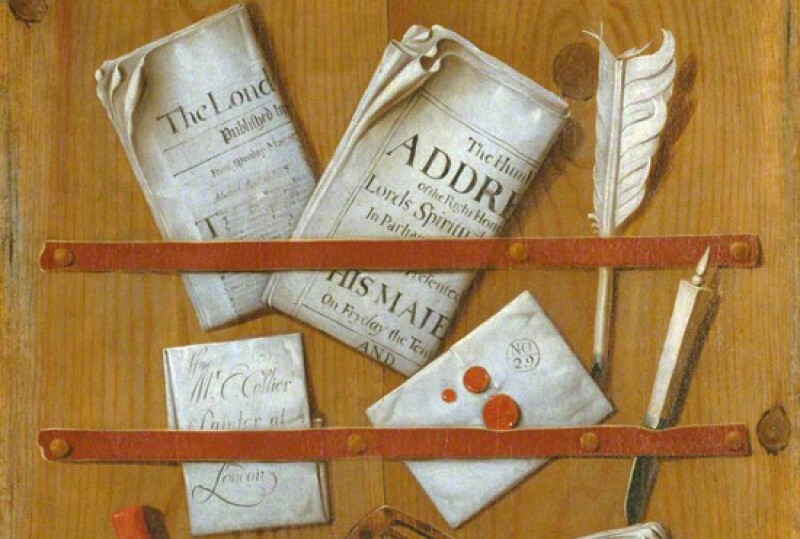 I like the way in which we read a diptych as your eye flicks from one image to the other making comparisons and contrasts. It is completely different to a single image. Now, 22 years later, I have completed a companion piece which relates directly to my life and experience over these intervening years. It is a meditation on the transition of time and addresses themes of natural life cycles, memory and mortality. Birth, life, death... children being born, family and friends dying... as I pass through these momentous personal experiences, as daily life ticks along and I find myself in middle age. 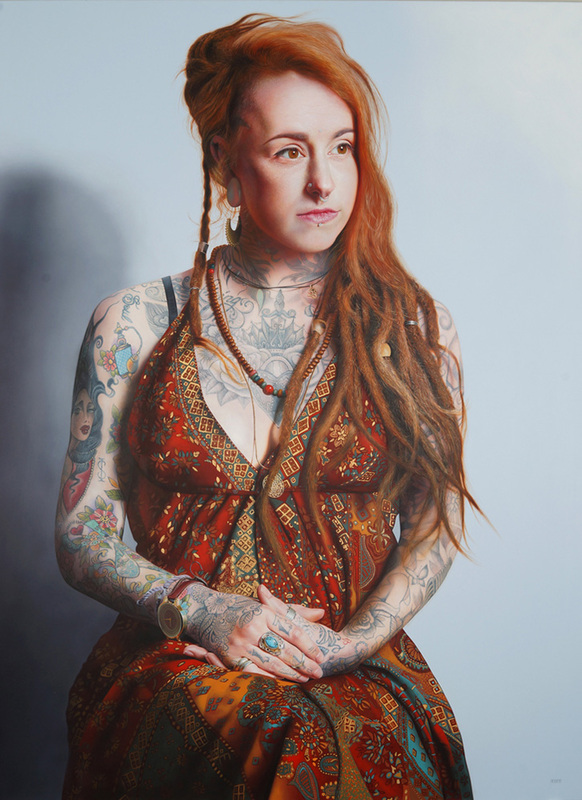 When we talk about portraiture, we often talk about 'immortalising' somebody and I have always been very aware and conscious of the strong link between portraiture and mortality, life and death. Betty used to be our old neighbour. Initially, we had a cat which lived part of the time with Betty, as cats often do. Then we got a dog, Max, and he chased the cat out of the house and the cat went to live full time with Betty. Through our relationship with the animals we grew very attached to Betty and she often used to come around our house for tea. She’d lived in the same house for most of her life and it was almost like going into a museum when you went in. Very little had been updated since the early 1970s and I wanted to capture this in the portrait. The room is exactly as it was, nothing had been moved, because I wanted to make a completely objective interpretation and also quite simply to depict what a nice lady she was. 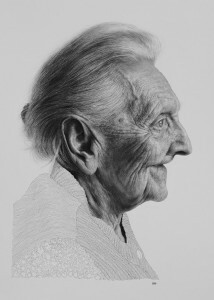 Sadly Betty died just a few weeks before the portrait was finished. 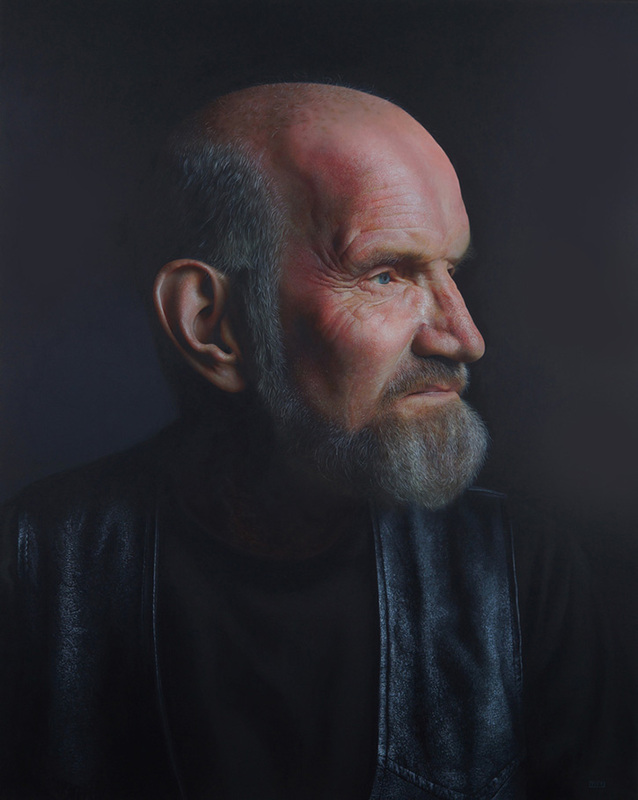 George is a painting of a member of the Kavern Motorcycle club. The scale is larger than life, probably just under twice life-size. It’s a very still and quiet portrait reflecting a thoughtful and silent moment. I wanted to explore almost the topography of his face in extreme detail and piece together an objective likeness. It was, in essence, a microscopic exploration of human skin. Back in the early 90s, I went to see a Bonnard exhibition at Tate Britain. 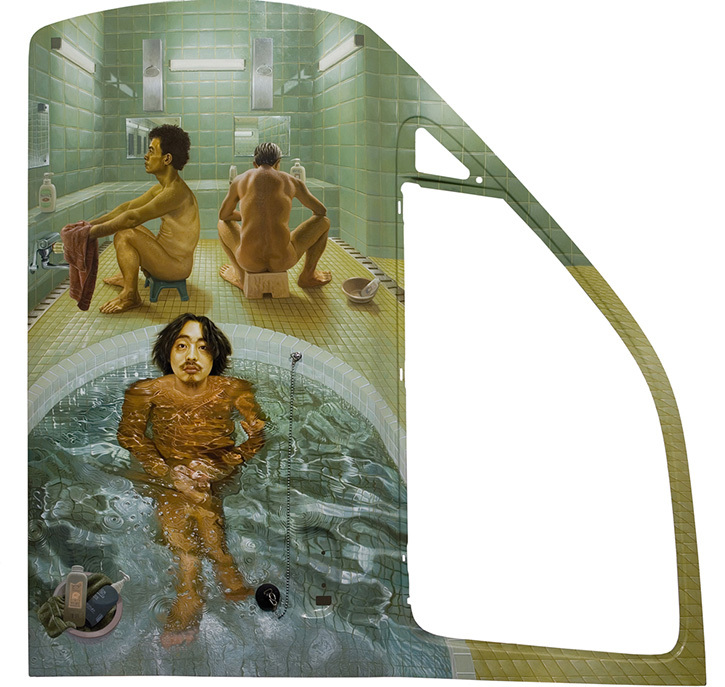 The final room of the show was devoted to his portraits of his wife in the bath, which I thought were incredible and have always stayed with me. My wife, Anne, is a regular visitor to the gym and always has a long relaxing soak in the bath when she gets back. 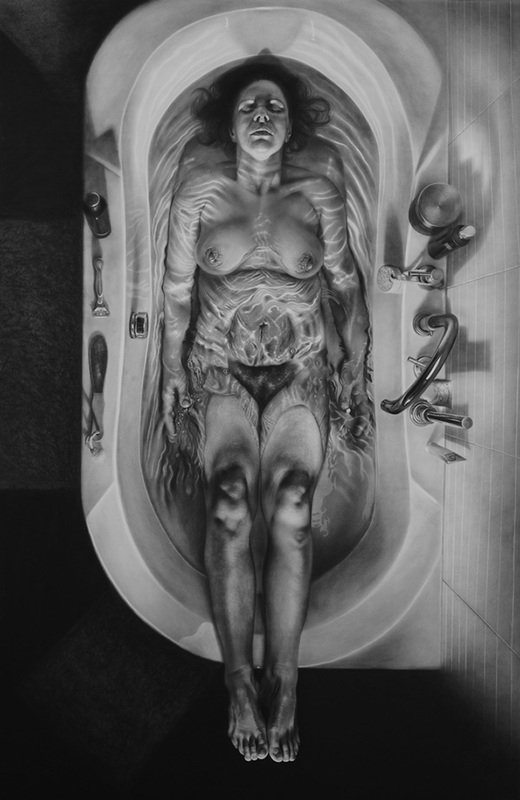 I was interested in the idea that the act of bathing, a still body in water sometimes unexpectedly took on the appearance of death which prompted me to make this large drawing, entitled The Bath. It is also inspired by the story of Ophelia in Hamlet and the painting of the same name by John Everett Millais. The legs have echoes of the Velázquez painting Christ Crucified. 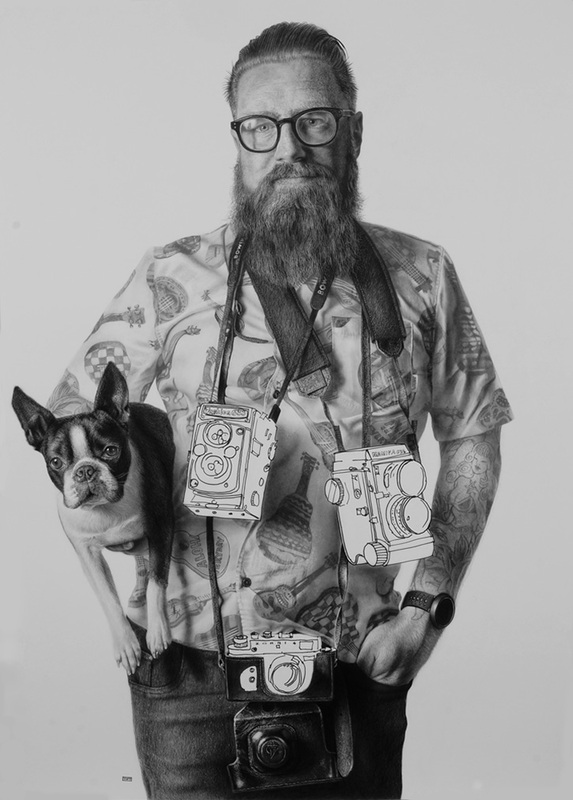 Lee and Louis is a portrait of a photographer that I know, and his dog. I was interested in making drawings which looked like drawings rather than photographs and I left areas unfinished and sketchy – like the cameras in this instance, which almost suggest a parallel plane. Alongside the new work are many pieces which have been borrowed from public and private collections like Tony Benn which I made in 1998 for the Palace of Westminster. It features Tony Benn in the basement of his house which he used as his office. I wanted it to be a relaxed and informal portrait so he sits in his cardigan and Doc Martin shoes. There are many objects which reflect and reinforce his identity – the chair once belonged to Keir Hardie, there are busts of Karl Marx, John Wesley and a miner. His brother's RAF wings and a photograph of his wife Caroline. 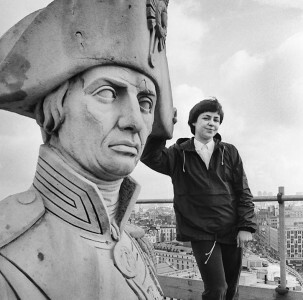 His diaries are on the shelf and a picture with his motto 'Dare to be a Daniel... Dare to Stand Alone'. There’s a William Morris lamp, his ballot box, a Mars bar and a bin which he fashioned from a cardboard box. 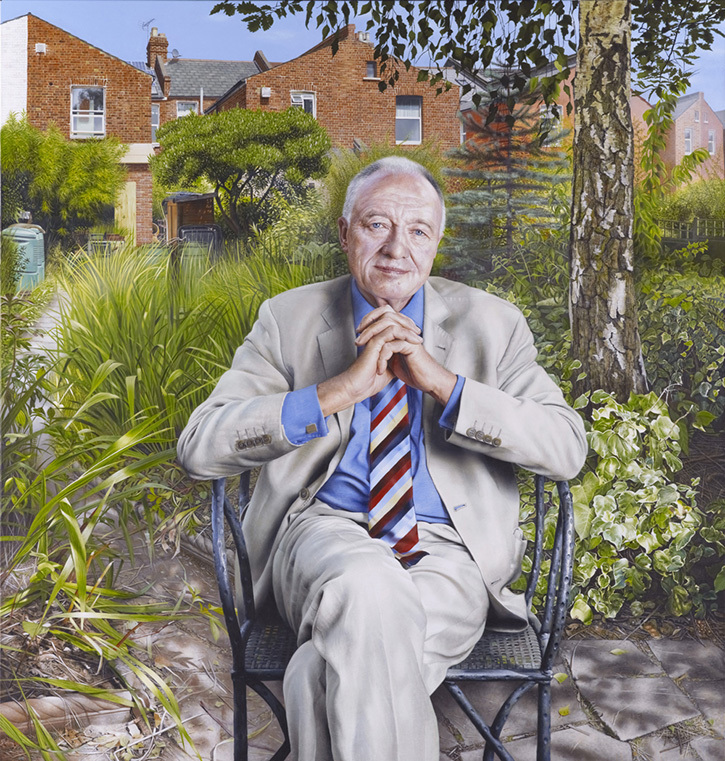 My portrait of Ken Livingstone, which was commissioned by the National Portrait Gallery, is in the exhibition, as he sits at the end of his garden in his Olympic suit and tie. Lord Carrington, which was commissioned by the House of Lords, depicts him standing in his ancestral home as I imagined the generations of his predecessors walking along the corridor. There is also a depiction of a family portrait by Joshua Reynolds. 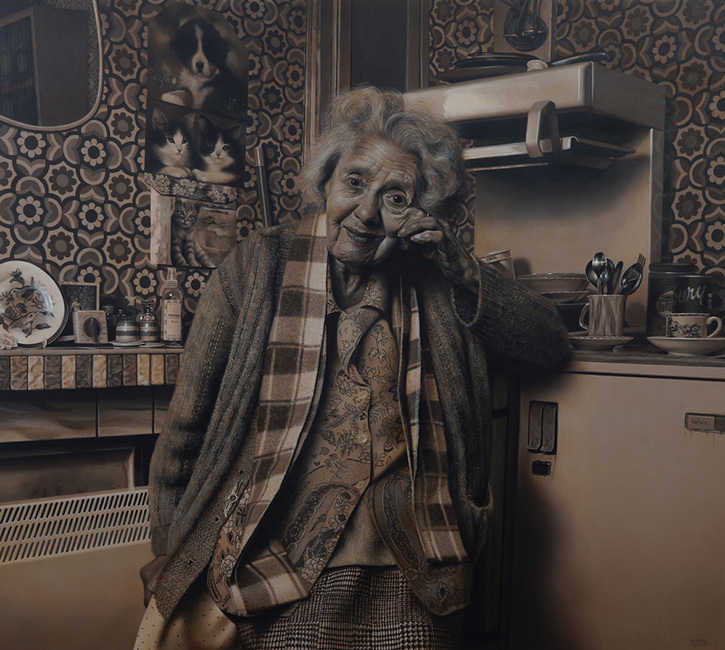 My portrait Kitty Triptych of Kitty Godley, Lucian Freud’s first wife, is part of the collection of The New Art Gallery Walsall, and won the BP Portrait Award in 2006. She sits with constantly changing physiognomy, referring to the very animated conversational sitting which we had. It was also inspired by John Freeman’s 'Face to Face' television interview series from the 1960s which scrutinised the subject with microscopic and psychological precision. 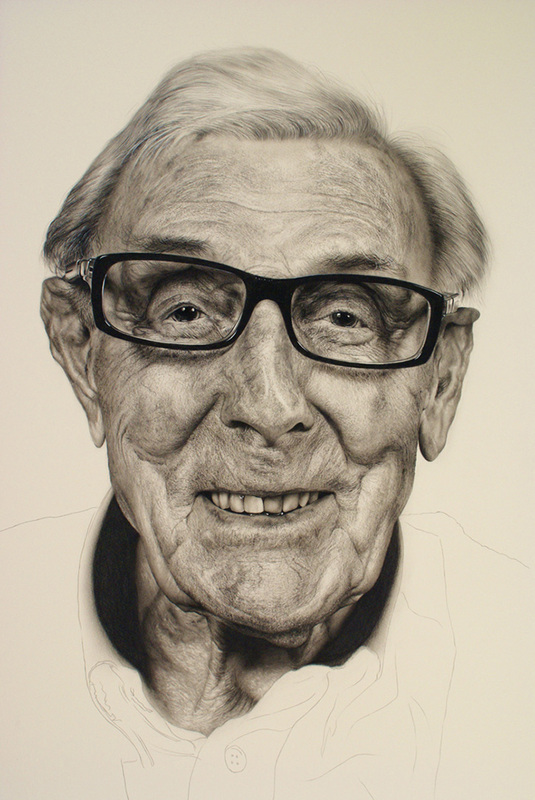 There is also a portrait of Eric Sykes which I did for the National Portrait Gallery shortly before he died. I rarely do smiling portraits, but as he was a comedian I thought it was very apt. For the first time, I have also made a series of photographic studies which came out of something playful as my daughter and I made papier mâché heads over balloons. I wondered what they would look like if I collaged a studio shot portrait on top of the papier mâché head and the actual person wore it, effectively masking their own identity with their own identity. 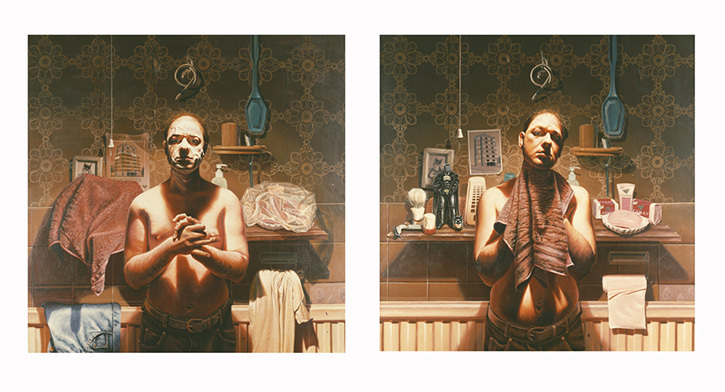 A curious, surreal and slightly sinister set of portraits then emerged which I called Doppelgangers. So, all in all, it's a very eclectic exhibition with over 50 portraits, paintings, drawings and photographs representing 25 years of work.